A new sensation and Heart of Tanzania “Kings FM Radio” makes your day memorable with its vast variety of songs. Infuses energy for your workday and relax your mind and soul when you want it that way. Listen to the wonderful melodious songs of your choice all day long. “Kings FM Radio” is fully customized internet radio station which provided you with 100% satisfaction. Kings FM is a privately owned radio station wholly owned by Kings Broadcasting Service Limited. Kings FM is a privately owned radio station wholly owned by Kings Broadcasting Service Limited. The company was conceptualised in 2007, but officially started in 2010. The company was established with the principal objectives of providing professional broadcasting services. 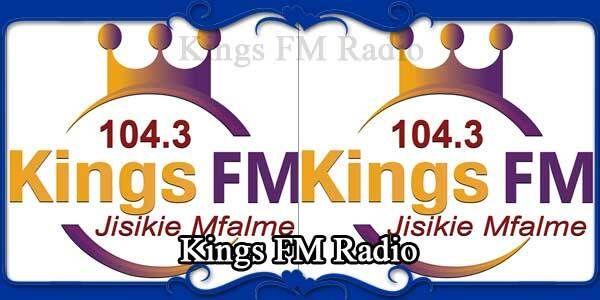 Kings Fm Radio went on air on 13th June 2014 on 104.3 Mhz FM (Stereo), Covering about 94% of Njombe region area. The full programming officially started on 24 October 2014 with education, social & entertainment programs covering about 95% of its on-air repertoire. Kings FM believes that , no FM Radio Station in the Southern Highlands zone area offers the same rich reportoire of programming, extensive reach and coverage for 24 hours.